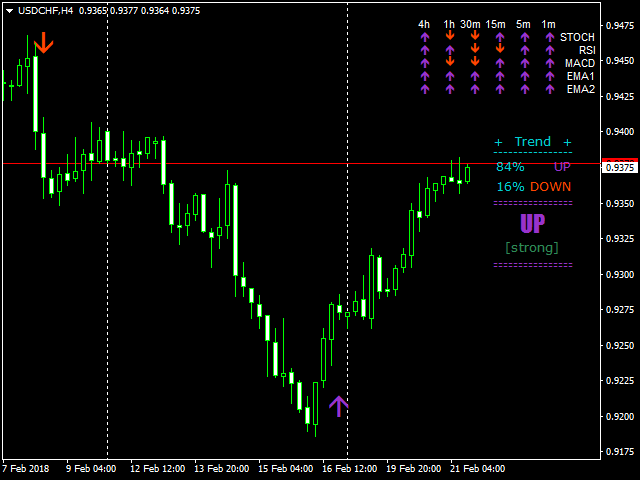 The main goal of the indicator is to determine the most optimal points of entry and exit from a trade. The indicator consists of three parts. 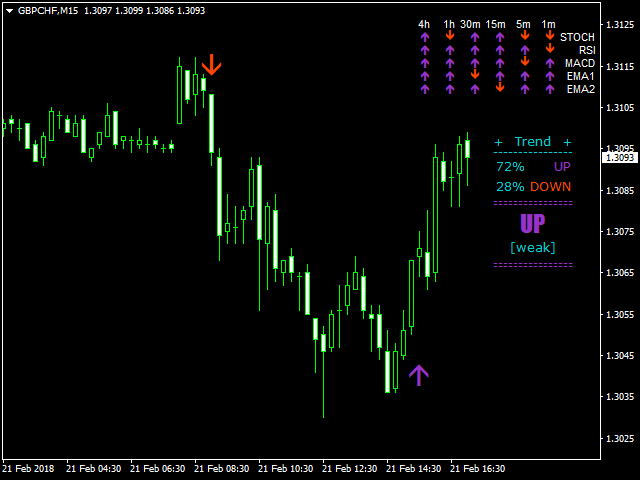 The first one is arrows displaying the most efficient market entry/exit points. 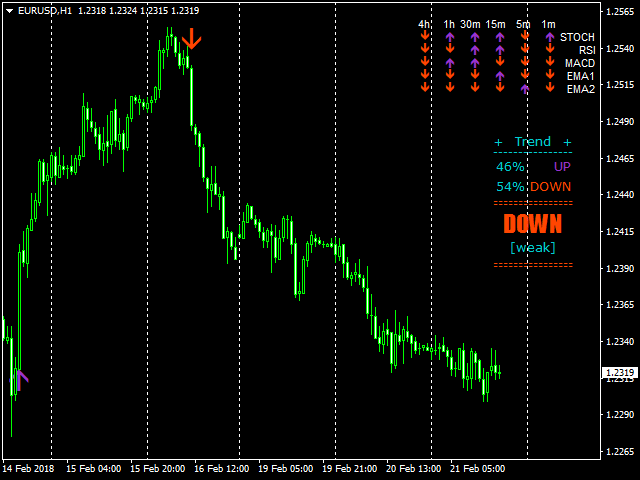 The up arrow is a buy signal, the down arrow is a sell one. The indicator contains an analytical analysis algorithm that includes a set of standard indicator readings, as well as a custom algorithm. 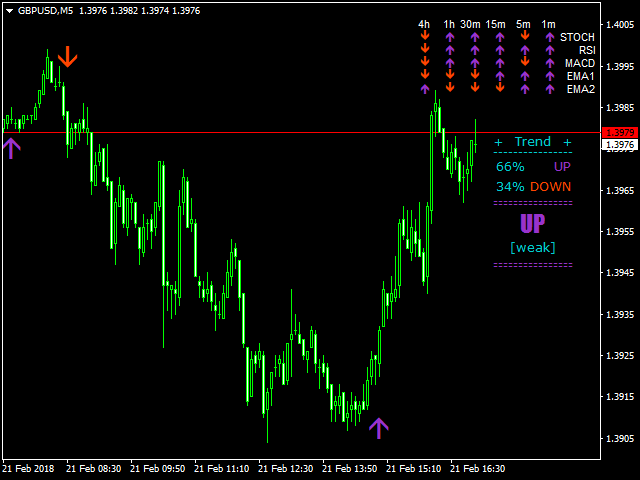 The second part is data in the upper right corner (works on М1-D1 timeframes) on multiple indicators (Stohastic, RSI, MACD, MA) on six periods (M1, M5, M15, M30, H1, H4) of the currency pair. 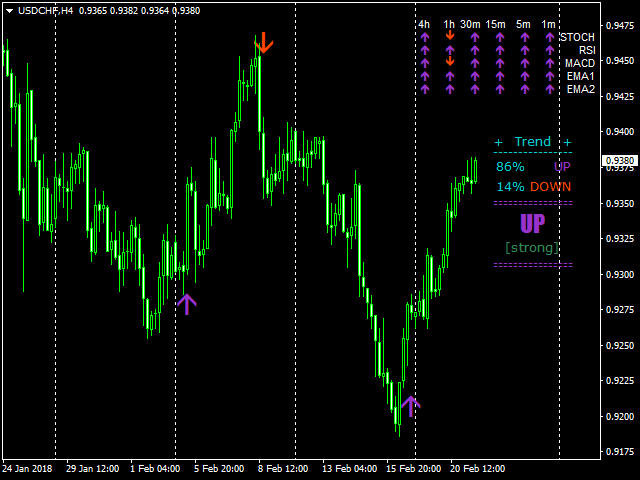 This block provides information about the currency pair on all timeframes based on the values of several indicators. The third part shows the current arrow direction and a trend power. The indicator does not redraw its values. Thanx for the support Pavel and for a good indicator. Cheers! great and very accurate signals, i don't get how this dude has so few reviews on his products... 5 stars! corner1, corner2 - привязка к углу панели и информации о тренде соответственно (0 - левый верхний, 1 - правый верхний).